Here is a terrific report for any Notre Dame fan. 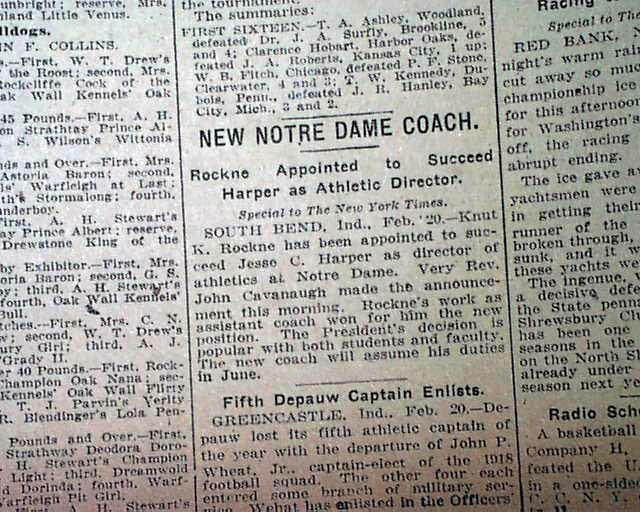 A small one column headlines near the bottom of page 12 announces: "NEW NOTRE DAME COACH" "Rockne Appointed to Succeed Harper as Athletic Director" which tells of the hiring of Knute Rockne as the new coach for the Fighting Irish. 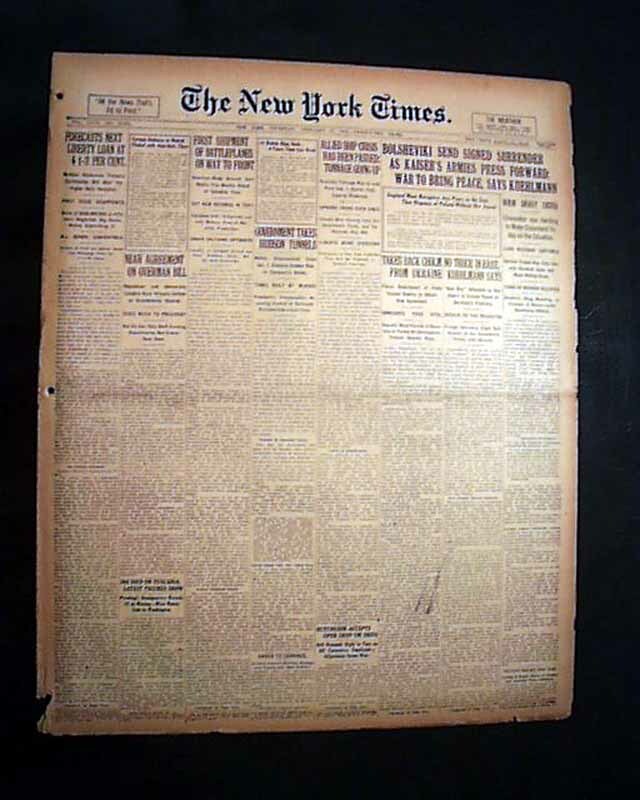 Rockne would put Notre Dame on the map as a football powerhouse. 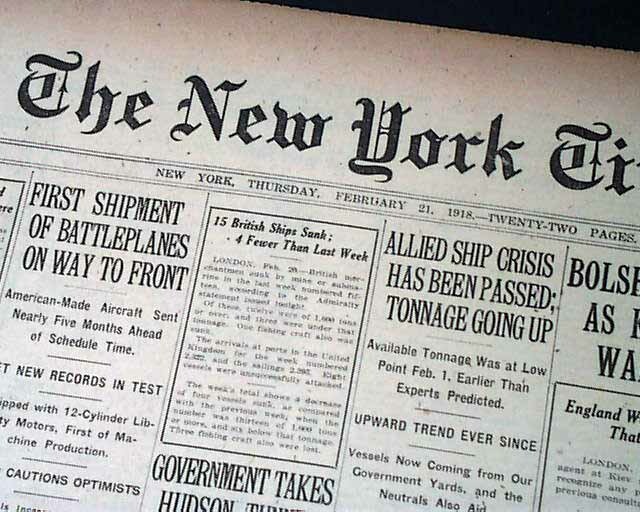 Searches in other newspapers for this report were unsuccessful, giving us reason to believe the Times was one of just a few newspapers to report this event. The complete 22 page issue, 3 binding holes at the blank spine margin, even toning, some chipping at the margins, should be handled with care.